AFTER playing Margaery Tyrell for five seasons on Game of Thrones, Natalie Dormer decided she was done with corsets for a while. The 36-year-old says that was until she had a FaceTime call with director Larysa Kondracki who wanted her to star in a reimagining of Peter Weir's classic film, Picnic at Hanging Rock. "I expected it to be a 20 minute conversation with Larysa because I wanted to reconcile in my head 'I am not going to do a corset job again'. I thought maybe I could get put in a bit of a pigeon hole," Dormer said. "What happened was a 90-minute conversation. I said this woman has a vision, she is incredibly talented and now I am going to Australia." "Then I found myself spending an hour and a half getting into corsets again," she said. Dormer told a TriBeCa Film Festival crowd in New York that her time spent in Australia filming Picnic at Hanging Rock was "truly one of the most creatively rewarding experiences I have ever had." The new six-part miniseries, which will screen in Australia on May 6 on Foxtel, also stars Orange is the New Black's Yael Stone, Sybilla Budd and Samara Weaving. It is heavily based on Joan Lindsay's 1967 novel which follows a Valentine's Day picnic in 1900 at Hanging Rock and the mysterious disappearance of three of the girls. Dormer plays Hester Appleyard, an English headmistress of the girls' boarding college in the Australian bush. The Game of Thrones star said it was a role she couldn't say no to. "People say to me, 'Natalie Dormer you love playing strong, empowered woman' and I say to them, 'I like playing complex women who are facing their fears and trying to work through them'," she said. "Hester Appleyard is one of the least self aware characters I think I have ever played. She really has to go to therapy." Kondracki says she came to realise when she was making the film not only how sacred the Peter Weir film is in Australian cinematic history but also how the mystery at Hanging Rock is very much a part of Australian folklore. "(Australians) are like loony tunes over this thing," she said. "It is the bible and Shakespeare, The Great Gatsby all rolled into one." 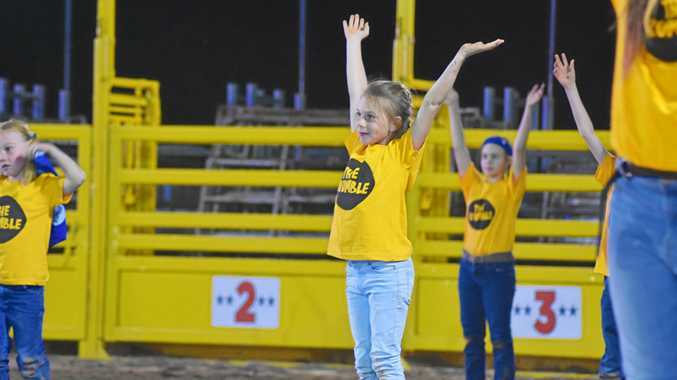 "It was amazing when the reviews came out for our miniseries and the Australian press embraced it and then I thought, OK we did a nation proud," she said. "Nobody wants to touch Peter Weir's great work but this was an opportunity to figure out who these girls were. There is still the thriller and the mystery of what happened but we thought, let's give them a voice. It has dovetailed now into a time where it is incredibly relevant and we are incredibly proud to be part of the me too conversation," she said. Dormer said the themes explored by the mostly female cast in Picnic at Hanging Rock are as relevant today as they were in 1900. "It is actually a little bit terrifying how those themes from 1900 we are still dealing with right now around equality and to do with self realisation and identity," she said. While the Peter Weir film leaves some ambiguity about what happened to the girls at Hanging Rock, executive producer Jo Porter, said the mini series helps fill in at least a few of the blanks. "Our version poses a lot of questions about why these people are here and satisfyingly for the audience it does give some answers around why. You just have to wait until the very end," she said. Jet Wilkinson, a western Sydney-raised director, now at the helm of US drama series, How to Get Away With Murder, was also in the audience. She praised Porter's work. "Such wonderful re-imagining of a classic. And now it's such an important time to be telling this story through a female lens and perspective," she wrote on Instagram. 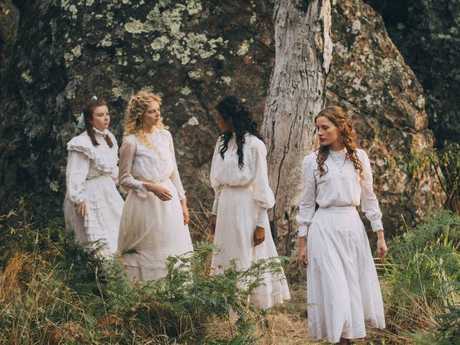 * Picnic at Hanging Rock, world premiere, screens Sunday, May 6, 8.30pm on Showcase or stream it on Foxtel Now.